DISNEY'S Frozen has officially become the highest grossing animated film of all time - claiming a title that was held by Toy Story 3 since 2010, which is also a Disney, animated film. Earning a total of $1,072,402,000, Frozen also is the 10th highest grossing film of all time. Frozen did well in the United States. It kept consistent in the Top 10 for 16 weeks, beginning on Thanksgiving weekend for a total of $398.4 million worth of ticket sales. Frozen opened on Boxing Day in Australia where it competed with The Hobbit: The Desolation of Smaug and The Secret Life of Walter Mitty. 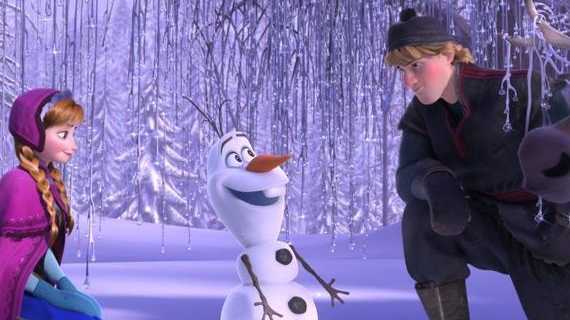 Frozen's Australian total so far is $31,058,116 million. Frozen is the second highest film of 2013 under Iron Man 3 also distributed by Disney. Frozen has created Ana and Elsa spawns over YouTube and Facebook which has created a worldwide phenomenon.